Having carpet in your home offers a variety of benefits. From improved air quality to providing additional insulation during cold times. Carpets even help reduce slips and falls inside people's home while also reducing the general noise level by absorbing sound. Always an accident, sometimes avoidable. A part of life if you have children. However, fear not. We have some handy tips to remove spots and stains from carpets whether its wine, mustard, or koolaid. Get two empty spray bottles and two absorbent wash cloths. Fill one bottle with cold water. In the second bottle, mix 1/4 teaspoon dishwashing liquid with 1 cup of warm water. Spray the detergent bottle onto a wash cloth (not the carpet), and dab it on the spot. Do not rub it. Blot (dry) excess detergent with a clean part of the cloth. Keep doing this until the stain fades away. Spray the second wash cloth with cold water. 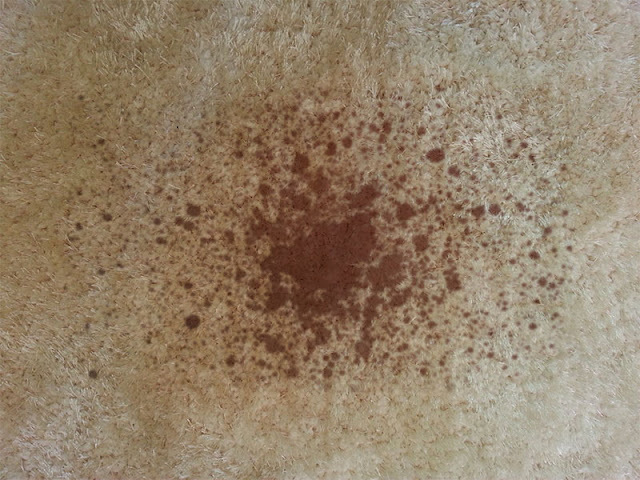 Dab the carpet and blot again to dry it. This will rinse out the detergent. Finally cover the spot with a clean, dry wash cloth, or a stack of paper towels. Place a heavy item on top such as a pot or pan. Let it sit over night to absorb excess moisture and stains left behind. Once morning comes around, let it air dry and fluff the fibers. Depending on how bad the stain is and your patience, you may have to repeat the procedure. Either way, this will help remove or lighten the stain. In any case, it does take time to do this. Let the professionals handle your house cleaning. It's healthier and surprisingly affordable! We offer professional maid services to the West Side of Los Angeles including Santa Monica, Culver City, Studio City, Burbank, and more. Let us know if you have special cleaning requirements, and we will work with you to accommodate your needs. We service houses, offices, and more!